The tank is made of lightweight yet rugged UV-resistant polyethylene making it easier to carry without compromising on durability. Ergonomics can be felt through the sleek contours of the tank, the integrated lumbar support, and the comfortable shoulder straps. 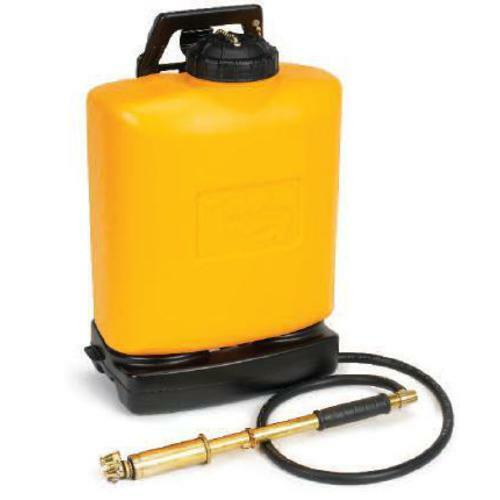 The robust carrying handle makes for easy lifting and also serves as a port where the hand pump can be neatly docked. The large diameter filler neck allows convenient filling, cleaning access, and features a filler strainer to capture and prevent unwanted particles from entering the hand pump’s water supply. The fire pump now features the all-new shoulder straps designed to provide users with enhanced comfort and safety. The cushy padded straps provide superior load support and are made with breathable materials for cool and dry operations. They also feature multiple adjustment straps for a custom fit, a chest strap to distribute pressure, heavy-duty fastening clips, and Scotchlite� reflective strips for increased visibility.